We deliver value through our deep knowledge of engineering and our meticulous attention to detail. 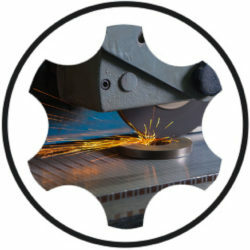 Learn More About Cer-Mac, Inc.
We ensure that the right part is delivered at the right time, the first time. Delivering reduced in-process time, high accuracy and unrivaled machine ergonomics. Check out our whitepaper which explains Iconel and other high nickel alloys. Our newest machine has arrived at Cer-Mac! See the video below. If you’d like to share some feedback with us, head over here. Cer-Mac always produces a good service to our company and provides a timely response to issues/concerns that arise. Easy team to work with and excellent communications and responses to requests and information. 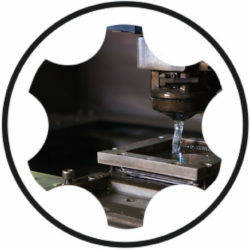 Parts machined by Cer-Mac are always on size and delivered on time. We are fully satisfied with the products and customer service provided by Cer-Mac. Cer-Mac has been very professional in all of my dealings with them. The attention to detail and care shown in all the projects that we have done with them is unmatched. Cer-mac provides quick quotes and meets required deadlines as required. Cer-Mac is very professional and easy to do business with. Nice second source for EDM. All orders were received on-time or early and the quality was outstanding. Cer-Mac has been very responsive to our needs on a variety of projects. They have communicated well and are very good at bringing up issues as they arise so they can be addressed as soon as possible. Overall satisfied with service and product. One of our better suppliers who is responsive to my delivery needs. 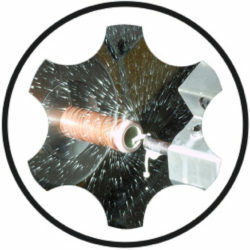 Your prices are higher than other grinding company’s we have used in the past, but your quality of return work is better. We enjoy doing business with your company! Cer-Mac has been responsive company, very good to my needs. Michelle provides great customer service. Always friendly, responsive and knowledgeable about the products. I appreciate Cer-Mac’s transparency for bids and the alternative pricing on proposals is A+.